Typical household cleaners can be used and be effective enough for cleaning garage door panels, tracks, railings, and other parts of the garage door parts. However, it’s important to be careful with corrosive substances like bleach. They can easily make metals rust which damages bolts and screws, making garage door adjustment difficult or impossible. When you must replace the garage door, measuring the backroom, side room, and headroom in the garage is vital. Measurements will give you an idea of which door type will fit perfectly to your space. Measurements are also needed when garage door parts must be replaced. Choosing the right ones is crucial for the door's proper performance. Every part of the garage door is important. It's crucial to remember that and never neglect the maintenance and replacement of brackets or fasteners. Such small garage door parts are the ones, which actually ensure the whole system is properly secured, stable, and strong. Rusty garage door hinges and loose bolts will just make the system vulnerable and unsafe. 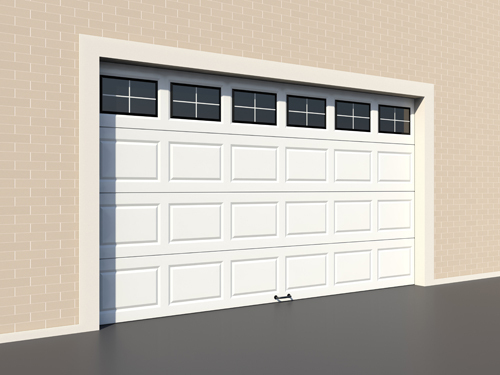 Choosing the right materials for the panel and the garage door parts is extremely important. Their quality and strength will determine the longevity of the system and its ability to withstand winds and resist elements. Some doors would need special wind load reinforcement with low gauge steel and some would need galvanized materials for resistance to moisture.